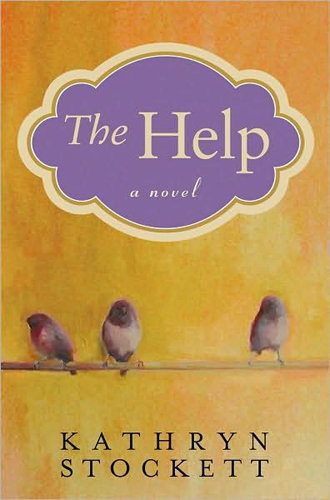 I am not joining the masses of women and possibly some men in reading “Fifty Shades of Grey” series by E.L. James just yet, I figured I’d let the hype from the series die down a bit before I join the bandwagon, until then I have decided to read for the month of May “The Help” by Kathryn Stockett. For many months through out 2011 I heard a lot about this book and then the movie, but wasn’t quite ready to read it yet. I can tell already this will be a good book, I read a few pages and it was already hilarious. The synopsis of the book is about Aibileen Clark, a black maid in 1962 Jackson Mississippi, raising her seventeenth white child, according to the book jacket. She always takes orders quietly, but lately it leaves her with a bitterness she can no longer bite back. Her friend Minny Jackson has certainly never held her tongue, or held on to a job for very long, but now she is working for a newcomer with secrets that leave her speechless. And white socialite Skeeter Phelan has just returned from college with ambition and a degree but, to her mother’s lament, no husband. Normally Skeeter would find solace in Constantin, the beloved maid who raised her, but Constantine has inexplicably disappeared. Together, these seemingly different join to work on a project that would forever alter their destinies and a the life of a small town – to write, in secret, a tell-all book about what is really like to work as a black maid in the white homes of the South. I hope you all join me in reading the book!